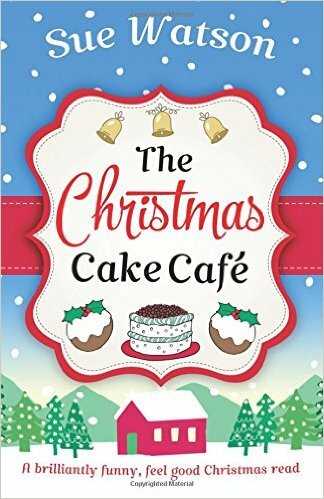 Book Review: The Christmas Cake Cafe by Sue Watson! Release Date: 12th October 2016. Thanks to Sue Watson I now have another place to add to my bucket list: Switzerland! This book is full of so much festive warmth, cheer and magic that I seriously felt like I was actually in a Christmas wonderland while sat reading it! The way Sue describes the little towns in Switzerland had me daydreaming and confirmed what I already know...that Christmas is definitely the absolute best time of year! The vibe, the atmosphere, the magic, it's all just wonderful and The Christmas Cake Cafe had it all between it's pages. In this book we meet Jen Barker, who always plans the perfect Christmas. Unfortunately for Jen they never ever go to plan and year after year she's left disappointed and sad. This year she thinks things are finally looking up and that she's going to get exactly what she wants from her boyfriend: the perfect time of year, the perfect music and the perfect location equals the perfect time to pop the question?? Surely?. However, once again it's not meant to be and Jen is left heartbroken and wondering if there really is such a thing as 'The perfect Christmas.' A year later from that disappointing Christmas and an invite to go on a working holiday in the Swiss Alps, with her younger sister, couldn't be further from how Jen 'planned' to spend her Christmas ...but it could be exactly what she needs to get her life back on track. The Christmas Cake Cafe was such a delightful story, I thoroughly enjoyed reading it. I loved how much Jen loved Christmas and just wanted everything to be how she pictured in her head. We all have that picture of how we want things to be, even though we know they won't always end up like we imagined, so I did feel for Jen each time she got let down. But I enjoyed how she got on with it and took a leap of faith. Seeing her come out of her shell and rediscovering herself while on holiday with her sister was lovely. It was like deep down she still had that fire inside her that didn't want to give up on the version of her life she pictured in her head, even though it was taking on a different path to the one she dreamed of. Her relationship with her sister Jody was interesting to read about too. Seeing how they both had to deal with issues from their childhoods that could have kept them apart from each other, but didn't, was very sweet. I liked how even though Jody was younger than Jen, she always offered her big sister advice and helped her live life to the fullest and experience new things. I really got a sense of how much she cared, which made me like her a lot. As for the setting, Sue Watson truly described a Christmas wonderland. I now must visit The Christmas Cake Cafe and have one of everything on the menu. Especially if handsome Jon is the one baking everything! Yes, you can't go on a working holiday over Christmas in the most beautiful setting and not find a lovely man to enjoy it with! Jon was adorable and sweet, I loved how he mispronounced words in his German accent and I loved that he was genuinely a nice guy with a lot of love to give, even if he did have a big secret!